Under the View menu select the Summary Page & Data Entry option. Double click the Add New on line 8 to add a new expenditure as seen below. 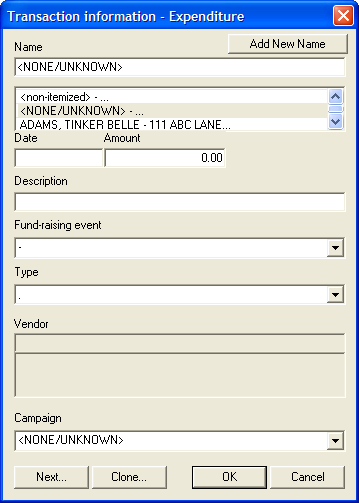 Continue to add the date, amount and description of the expenditure made. 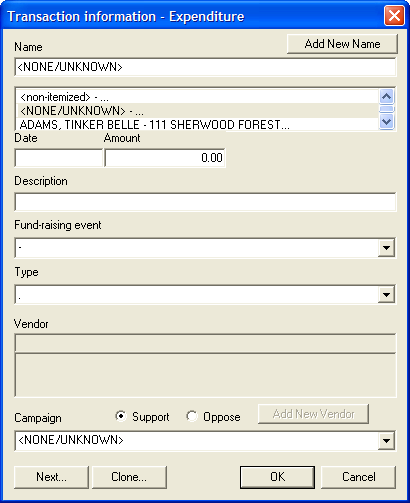 If the expenditure was associated with a fund raising event held by your committee click the Fund Raising Event drop down to select the appropriate event. 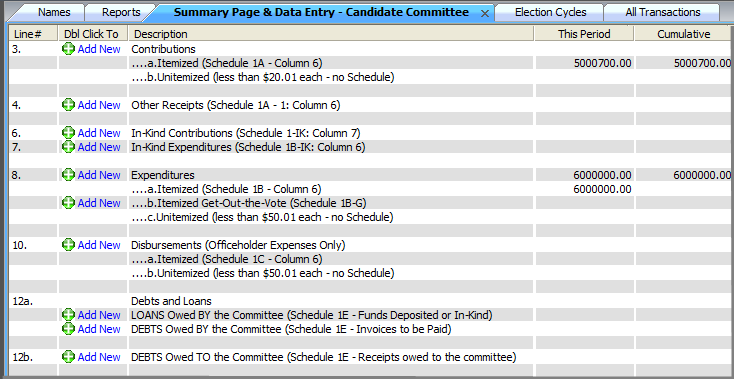 Once an expense is reported to a Candidate Committee or Ballot Proposal their Campaign information is also required. Select the correct Campaign from the drop down list. For help creating a Campaign see Add New or Modify Campaigns for further instructions.